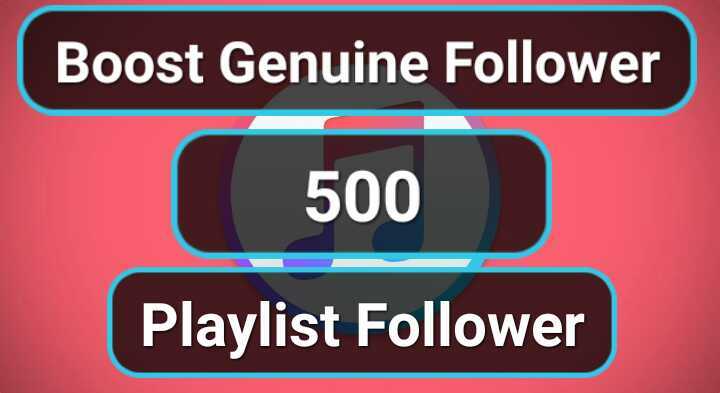 Super Fast Delivery 500 Music Playlist Artist Profile Followers For $4. Allowed: Multiple profile link for each order. NON DROP LIFE TIME GUARANTEED. ORDER WORK ON TIME DELIVERY. I'M 24 HOURS ONLINE HERE THIS MARKETPLACE. 24 HOURS VIP SUPPORTS AVAILABLE HERE. SERVICES IS SAFE AND SECURE GENUINE. NO FAKE SYSTEM NO BOT WORK DON'T WORRY. PLEASE LET ME KNOW IF YOU HAVE QUESTIONS.? INBOX ME I CAN HELP YOU.